Each listing offers a short description of the change with links to pages with more details. In many cases, these links will take you to a page with product how-to videos or customer stories. 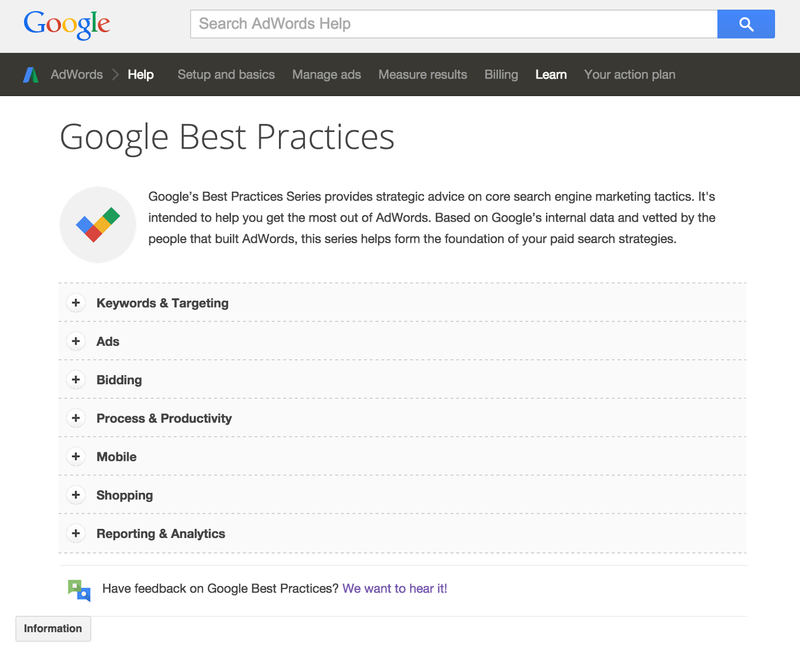 The second resource that we’ve added to the Learn tab in the Help Center is all about making our advertisers better at AdWords: the Google Best Practices series. This series offers actionable advice and straightforward tips to help you get the most out of AdWords. The guidance we offer spans many topics, from writing effective search ads to successfully implementing bid automation. This series, Google's official advice on AdWords, can help form the foundation of your paid search strategies. We hope these new resources make it easier to stay up to date with AdWords as a “one-stop shop” for discovering new innovations and helpful best practices. Bookmark them now! Did you know that over 200 products and feature updates launched in AdWords last year? With so many updates, many advertisers have shared that it can be hard to keep track of all the changes. On top of that, advertisers are looking for guidance about how to use AdWords so that they can better manage their accounts. We're listening. Starting today, you will find two new resources in the Learn tab of the Help Center that we hope will keep you on top of all the new AdWords innovations and help you understand how they work. The first is a chronological list of product updates. 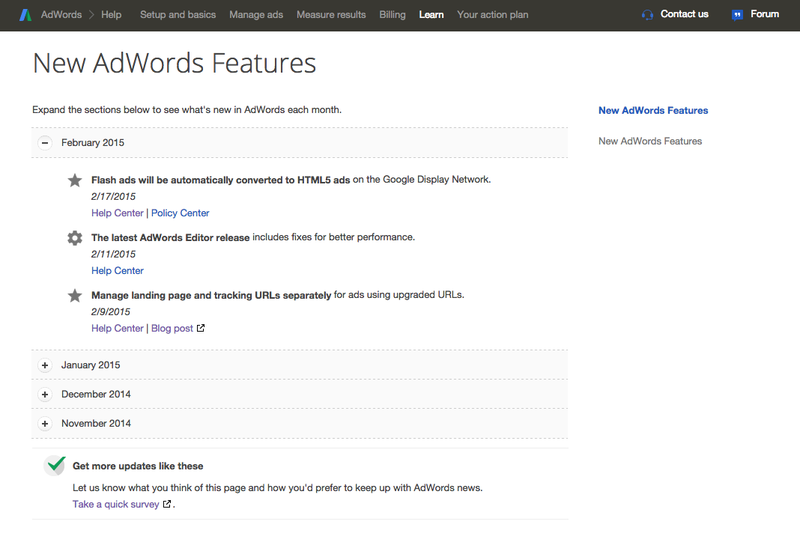 This “New AdWords Features” page shows you what’s happening in AdWords all in a single place: from reporting improvements to new ad format launches. For example, if you visit the page today you’ll see that eligible Flash ads can now be automatically converted to HTML5 on the Google Display Network. You'll also see that we recently rolled out a service release for AdWords Editor, which included some improvements to reporting.